There are thousands of people who follow me through this blog and other forms of social media. 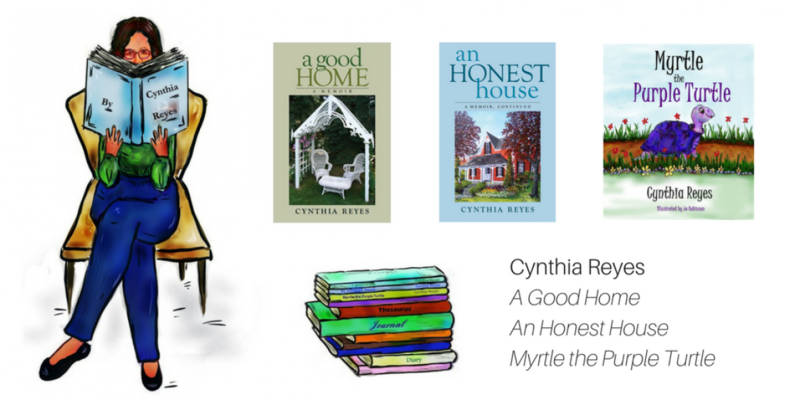 Some of you have followed me since the publication of my very first book, A Good Home. 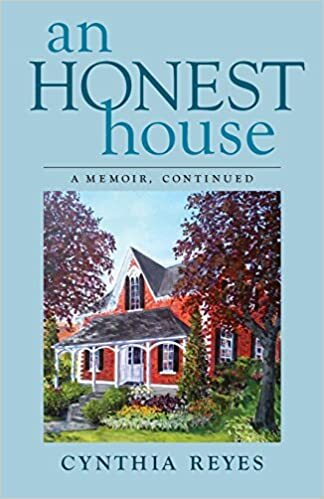 You and newer friends rejoiced with me when both it, and the sequel, An Honest House, were positively reviewed by critics and well received by book lovers. Then, when my first children’s book Myrtle the Purple Turtle was published, you helped make it an immediate bestseller through your purchases, posts, and reviews. You haven’t only celebrated with me; you’ve also “accompanied” me to hospitals, commiserated when I pushed myself too hard and relapsed yet again, prayed for my husband when he was critically ill, and encouraged us on some of our worst days. So you may be wondering what on earth has happened to the Cynthia Reyes you know. What happened to the woman who proudly wears her sister’s second-hand clothes, fails spectacularly at the domestic arts of cooking, baking and making Christmas arrangements, then writes ridiculous poems or other funny posts to make you laugh at her? And why the heck has she seemingly returned to somewhat-serious journalism in the last week or so? Writing about — of all things — a royal couple? No, I haven’t gone off the deep end. Nor have I gone back to journalism, which some would say is the same thing. But about every two years or so, I find a story that fascinates me so much, I go through the pain and anxiety of researching and writing a whole blog series about it. Such is the case with the story of the large and interesting international group which has been waging a fierce online defense of Prince Harry and his wife the Duchess of Sussex (aka Harry and Meghan) against their detractors. That same group surprised onlookers recently by holding a very successful online event to aid charities associated with the couple. Like Harry and Meghan, this group has the potential to do much good in the world — if they play their cards right. I have enjoyed watching them in action. Now the series is almost complete, with only one final part to add. I hope, whether you are a longtime follower or a new one, you will find it interesting. If you don’t, bear with me, please. The Cynthia Reyes you know is still here — she has not “left the building”. I’ll have personal and author news to share soon, and I look forward to reading your updates too. There are times when words just aren’t enough. So I send flowers on my blog to individuals going through happy times, sad times — or just because. This time, the flowers are for someone whom many of you may remember: my friend Valerie. 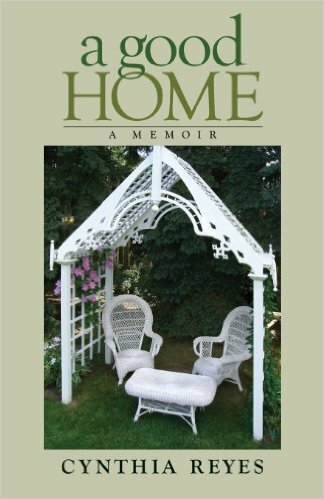 With husband Chris, pet dogs, chickens, their beautiful gardens, home and farm — Val graced these pages about 4 times in the last two years, and many more times through her kind comments here. Val is very ill right now. These flowers are sent to her from bloggers who read about her and from my own family too. Love and prayers, dear Val and Chris. I thank you for welcoming my blog community into your home, and above all, thank you for being you. **Blogger friends: You are welcome to send a flower for Val. I will add it here.